The good news from this month’s New England Journal of Medicine: Regardless of whether you go Atkins or South Beach,if you cut calories you will lose weight. The bad news: You’ll likely regain eventually. That’s according to a report on a two-year study of 811 overweight adults in Boston and Baton Rouge. The volunteers agreed to go on diets that cut 750 calories a day from what they’d need to maintain their weight when they started. 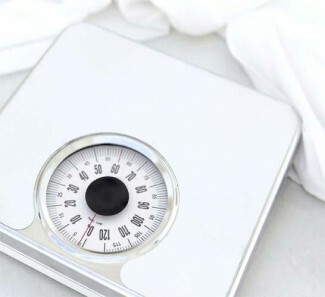 The dieters were divided into four groups – low-fat, average-protein; low-fat, high-protein; high-fat, average-protein; and high-fat, high-protein – and also offered group and individual counseling. They were given daily meal plans, told to keep food diaries and given a goal of 90 minutes of moderate exercise a week. Online monitoring tools help participants track nutrition and exercise. Only 654 participants completed the study, and that’s an immediate tip off to the problem with dieting: It’s hard. All groups lost weight, most of it in the first six months. After a year, all groups on average started regaining. Those who were counseled were more likely to keep more weight off at the two-year mark, though all participants on average remained six to eight pounds lighter at the end of the study. That’s enough of a permanent loss to decrease risks for diabetes. The conclusions: It doesn’t matter what plan you chose, because one that works for you will work, at least in the short term. The slow increase troubles some experts, though, and at least one fears that had the study continued beyond two years most participants would have been back to their original weights. “Even these highly motivated, intelligent participants who were coached by expert professionals could not achieve the weight losses needed to reverse the obesity epidemic. The results would probably have been worse among poor, uneducated subjects,” Dutch biochemist Martijn B. Katan wrote in an editorial appearing in the same issue of the journal. Katan, pointing to a study in which a French town decreased the number of overweight children 8.8 percent by getting the community involved, says that means the key to combating the obesity epidemic is in involving communities as a whole. Katan is right, but for the wrong reasons. The power of the French experiment was more likely in the community change, not in the community involvement. From teachers to shop owners to, yes, parents too, everyone encouraged the children to be more active. Communities built sports facilities and play grounds. Cooking workshops were conducted. Contrast that to the Boston-Baton Rouge experiment that involved meticulously writing down everything you put in your mouth and having meal plans handed to you. I won’t deny that there are folks who can handle that type of regimentation long-term – thrive on it, even. There will come a time, though, when any diet will fail if it doesn’t involve a lifestyle change, and prefab meal plans is babysitting, not change. It’s not an issue of coaching or intelligence. It’s one of commitment. A carefully structured two-year study serves research needs, but in the end it mostly changed short-term behavior, not long-term attitude.